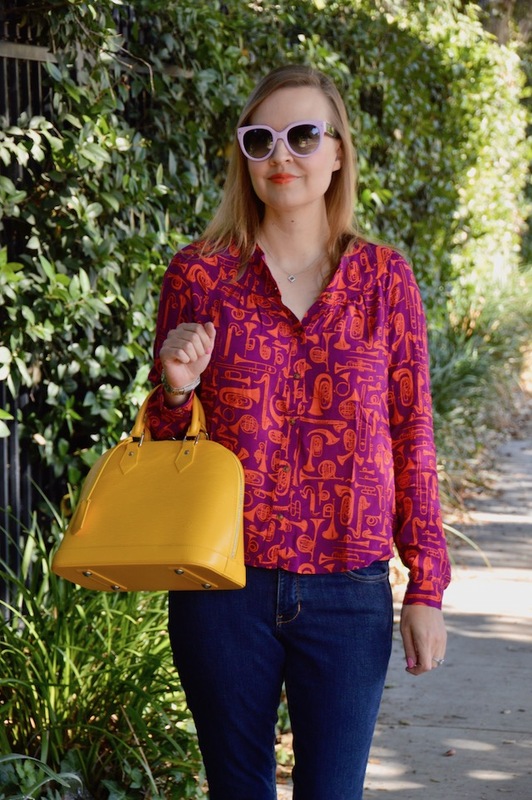 I don't want to toot my own horn, but I'm really good at finding the cutest prints lately! Luckily for me, Anthropologie has been instrumental in making it really easy to find great prints, especially with their 52 Conversations Collection. So, at this point, I have seven blouses from this Collection, my seventh being this one that features various brass instruments on it. 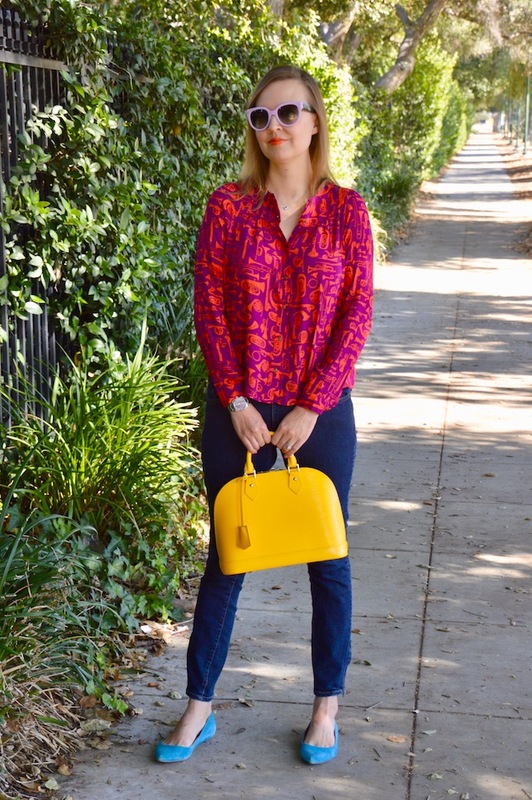 I gravitated to this particular print mainly because of the contrasting pink and orange colors that make the blouse really pop. In addition to the color scheme, the instruments are pretty cool too! 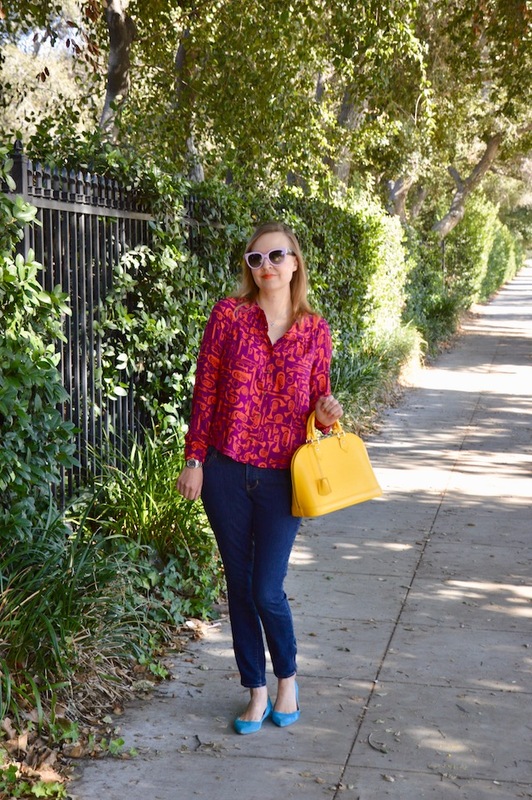 I decided to pair my blouse with something simple, like these dark wash denim jeans, because I wanted the blouse to be the star of the ensemble. 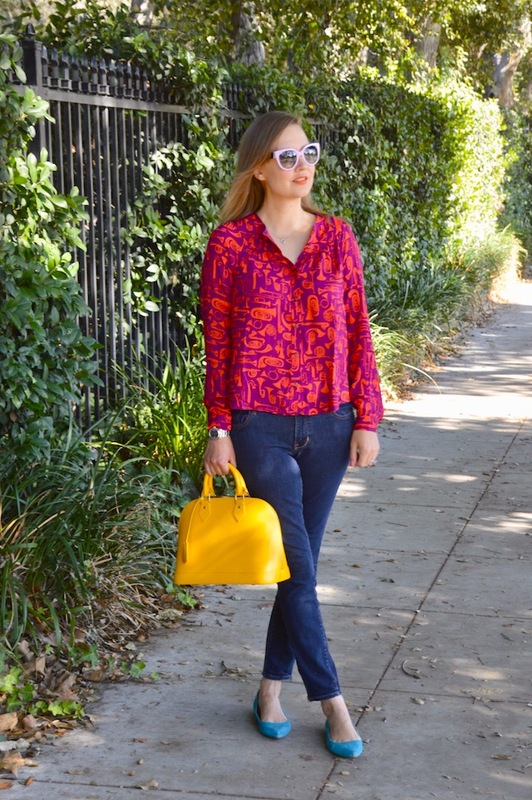 Sometimes it's nice to just throw on a pair of jeans and a great statement piece like this blouse and not have to worry about anything else. 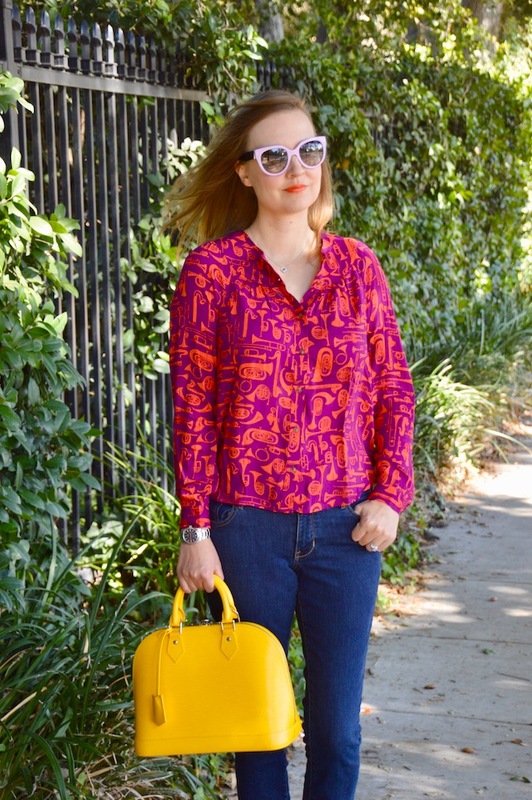 For a little added pop in the color department, I decided to go with my yellow tote because, as you know, you can never have too many colors or cute prints! 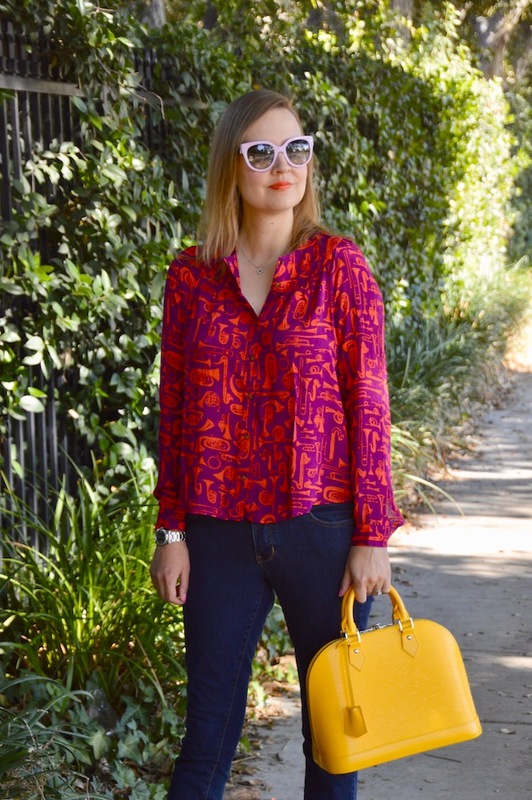 What a fun blouse!! And all your puns made me LOL. 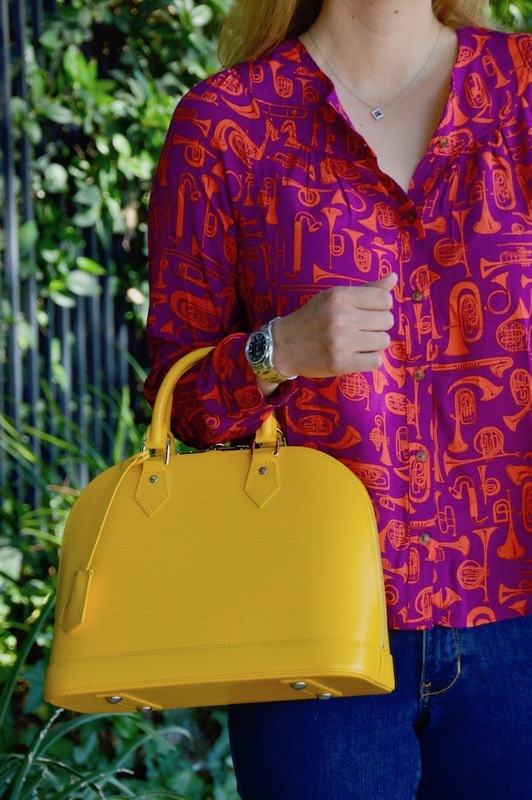 :) My mom used to play the trumpet and I think she would get such a kick out of this top, I'm going to have to show her.